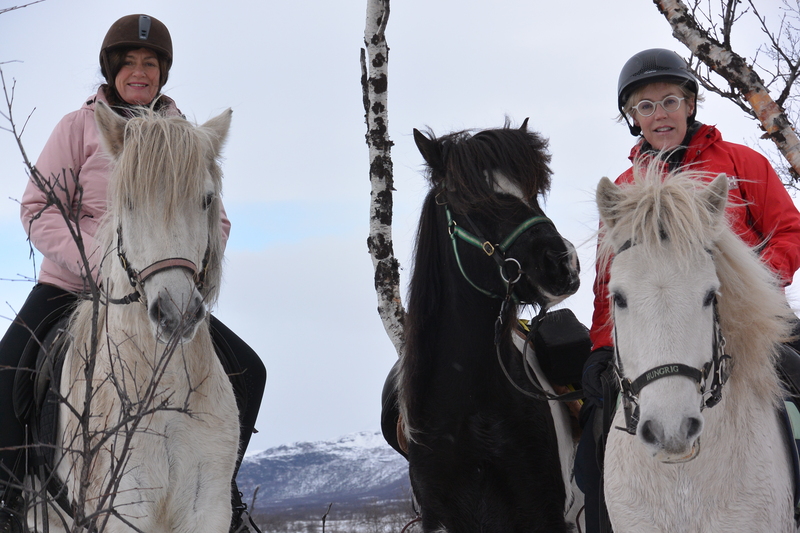 The swedish crime writers Åsa Larsson and Mari Jungstedt in Nikkaluokta on a riding tour. With us we had Tigull, Breki and Hvellur, and the dog Smilla. Sunshine and a bit of snow, the last riding tour in Nikkaluokta this year. Now we will ride in Puoltsa during the winter and spring.